A few years ago, I came up with this idea: I wanted to build a boarding facility for dogs, that also functioned as an animal rescue facility. Basically, my dream would allow me to make a living working with dogs, while also having space to house rescue dogs. I had a fun “doggie vacation” type-place in mind, where boarding dogs could have fun while their families were away, and rescue dogs could get the same treatment, for free. I wanted to build a facility with 2 distinct, fully-separated sides… one side for boarding, and the other for rescue dogs. I had a certain area of town in mind for the facility, and a picture in my mind of exactly what I wanted to build. So, for about a year or so, I searched for a piece of land where I could make this dream come true… with no luck. One week --to the day-- after Rudy died, a girl I went to high school with tagged me in a photo on facebook. I hadn’t talked to this girl in years, so I was surprised to see a tag from her. 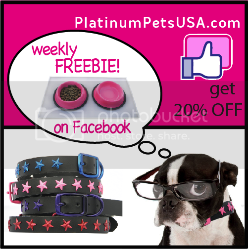 When I clicked on the photo, I saw that she’d taken a picture of a flyer she’d seen in a vet clinic… a flyer about a boarding facility for sale in Meridian. I looked at the flyer, and my mouth fell open. 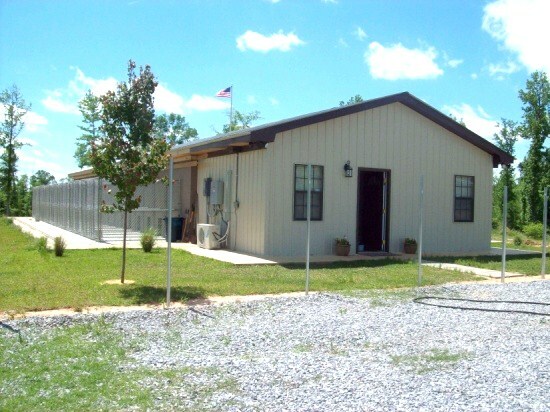 I saw a brand-new boarding kennel facility, in the exact area of town I’d been looking to build mine. I saw a building ... fully-separated down the middle, with 2 distinct sides of the facility... just like I’d wanted. I saw that the building was set on beautiful piece of property, with plenty of room to add the outdoor play areas I’d always dreamed of having. Sure… this may not seem like a big deal... but trust me... this situation is eerily unlikely. What are the odds that a brand-new boarding facility would even be for sale here?? I’ve lived in Meridian my entire life, and there’s never been a kennel for sale here, especially not a new building. Even more, this facility was in the exact location I’d wanted, with the exact features I’d wanted to build. Looking at the flyer, I was absolutely speechless. I’m not an impulsive person by any means, but as soon as I saw the flyer, I called and made an appointment to go view the building. When I pulled up for my viewing, I honestly felt like I was driving up to the kennel I’d built in my head... years before. When I walked inside, I saw everything... just as I’d wanted it to be. It's really hard to explain how I felt... seeing all of this. But in my heart, I knew: This building was built for me. This was meant to be mine. The building structure itself was complete, but many of the features weren’t exactly finished. The owners had essentially run out of time, energy, and money to finish things out. The asking price wasn’t inexpensive by any means... but luckily, I’d been saving for years to make this dream happen. The very next day, I placed an offer on the kennel. There was some negotiating back-and-forth, but I never once doubted that this was meant to be. I just knew that we’d somehow reach an agreement. Then… exactly 2 weeks after Rudy died, they accepted my final offer. I had just turned 26 years old. So, I took a leap of faith… and quit my high-paying, stable job, to make almost no money doing what I love. At the time, very few people in my life could understand that decision… especially because I almost never make seemingly irrational decisions. But... gotta be honest with you... even as broke and exhausted as I am these days, that’s one of the best decisions I’ve ever made. And so... Lucky Dog Retreat was born. Lucky Dog Retreat is not a “boarding kennel.” It’s so much more. The dogs in my care have a great time while their families are away, and I’m able to work each day, doing what I love. My clients (and their dogs) adore me, trust me, and appreciate me. Families tell me that they feel so comforted, because they don’t have to worry about their dogs while they’re gone. That honestly means the world to me. 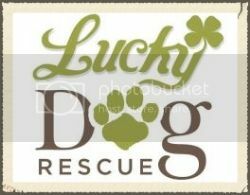 But the best part about Lucky Dog Retreat... is that it supports Lucky Dog Rescue. It allows me to pay the bills... so the rescue dogs can stay for free. Out of my own pocket, I donate half of the facility to housing rescue dogs... paying for their food, vet care, etc. The rescue pups get daily walks, plenty of outdoor playtime, and the love and fun they’ve always wanted. 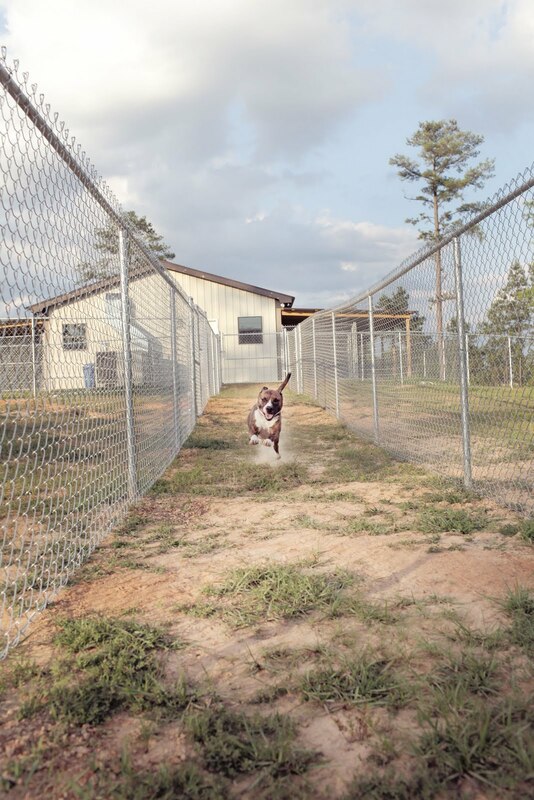 Each rescue dog is fully vaccinated and vetted before they’re ever allowed to enter the facility --and on top of that-- they have their own separate area from the boarding pups. So, it’s a safe, fun place for every dog that stays there. The day we closed on the property, I couldn't help but think of Rudy. It was the very first time I could begin to understand why Rudy had to leave me. Rudy died… so my dream could come alive. Rudy died… so all of the other deserving dogs could be saved. Rudy died… to give me exactly what I’d given him… hope. I saved many dogs before Rudy, and many more while he was with me. But honestly, as long as Rudy was in my life, I was so content, so happy, and so fulfilled. And then... the second he died… there was suddenly a massive void in my life. At the time, I had no idea how to fill the emptiness. 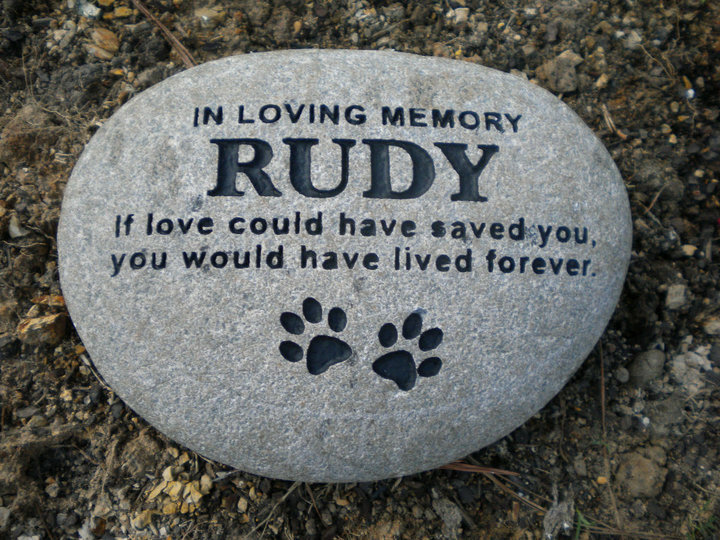 After we closed on Lucky Dog, I went home, sat on my special bench next to Rudy’s grave, and cried. The only words I could muster were, “Thank you, buddy. Thank you.” At that moment... I swear on my life... one of the flower buds I planted on top of his grave… opened-up… right before my eyes. 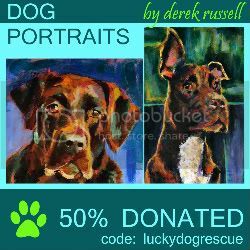 *Lucky Dog Retreat & Lucky Dog Rescue were founded in loving memory of my Rudy. Wow Ashley! That is an awesome story! I am glad your dream came true! You are doing great work! I am sure Rudy loves it!! Thats my dream, and your story was so inspiring! A beautiful story.....good luck to you in all you are trying to accomplish! Rudy would be as proud of you as we all are! Goosebumps, talk about Synchronicity, angels and fate all working to bring you your dream. I completely understand why you did this.. I totally would if I could. I will, someday. I cry every single time I read one of your posts...in a good way. You are amazing and I'm so glad there are people like you in the world! What a great story.....so mad me cry!! I have talked to a good friend of mine about how we would be able to open a rescue of our own. We both have taken in several strays and shelter dogs and loved them til the end.....so I feel as you do that it is my calling too. But I don't know how to make it happen yet. It would be my dream as well to be the owner of the same type of facility. No job would make me happier!! So seeing how you made it happen is inspiring and i'm hoping to make it my story too!! Thanks for sharing! You're an angel on earth! amazing. you are truly an inspiration! You seriously have to think of keep expanding. I know you are going to think I'm crazy (I'm not, but I am a bit of a mad woman) but you need to start thinking of publishing these blogs in a book. Then, and you would hate this because you would leave your dogs, do a book tour, television....You could do for rescues what Ceaser Milan did for training. You could be the face of dog rescuing for the country. You have yet to discover how high you can fly. Ashley, you are a beautiful person with an amazing heart----your love for dogs and the good that you are doing for them will surely find you a place in heaven! Yes, Rudy would be very proud and happy with your accomplishments! Merle Ruf---a true lover of all dogs! That's amazing !! This totally got me teary eyed!! I'm so happy there are people like you out there, I def want to start rescuing pets once I get my own place, even if it's just temporary. I love animals and if I was good at math and science I'd be a vet but that's not my thing unfortunately. God bless you and I hope for nothing but great things for you ! I had a dog for 12 yrs...Pepper. Like Rudy she was my life . I didn't know how to go on without her. I was lost! Many thought " She was just a dog!" There is no such thing as we both know. Months after she passed I saw a dog on line that was 3 days from being gassed. I had to get her. We have had herN for 6 yrs now. No she is not my Pepper and that is the way it should be. I love her for the way she is! sent Guinness to me. I think you can understand that. God Bless you for all the work you do for all the dogs that have no voice. Rudy is very proud of you!!!! God Bless you for all the great work you do for our precious " Fur Babies "
that bring us so much love!!!! Am sobbing reading this, for many different reasons... first, for the loss of your dog... second, for the dream to become a reality... third, for the greatness you bring to humanity, to your love of all animals, but especially for all those you can personally help... and fourth, for the touching moment with Rudy, and the budding flower... oh my; you are an angel for the four-legged friends... God will reward you one day. Thanks for writing about this, Ashley. I was wondering how you created Lucky Dog Rescue. You are such a gifted writer in addition to your many other talents. Rudy's story truly touched my heart! Well done! God had a hand in this, He was helping His angel on earth, and He will continue to provide for you, just keep the faith. Every single time I read one of your posts I end up with tears in my eyes! And if I lived near there, I would so board my two furbabies with you, because I know they would be in loving and caring hands!! Wow, if that doesn't make you believe in God, I don't know what would! You continue to inspire me daily to be a better person, thank you for what you do. I am really inspired by this post. Thanks for the same. Tears are in my eyes. God bless you!! ashley, what a great thing you are doing. Hi I admire you, I always want to do sometuhing like that, I live in California, if you need Iam willing to go there a help you and learn from you. keep up the nice work, and I will be a frequent visitor for a very long time.This is a really good read for me. Must admit that you are one of the best blogger I have ever read. Thanks for posting this informative article. Not only the name..the dog itself is so lucky dude !! Really appreciated..
I’m amazed, I hаve to аdmit. Not often ԁo I run across a blog that’s equally instructivе and fascinating on web 2. 0 site, and indeed, you hаve hit the nail on the head. Thiѕ particular topic is аn issue that not enough people аrе speaking intelligеntly аbout. It's cool that I was able to find this while searching for relevant topics. and I hаve a piece οf advice: ωrite more. Literаlly, it apрears like you relied on the cliρ to drіѵe your pοint home. You definitely understand what уοu're writing about, so why waste your intelligence merely posting videos to your site when you could be giving us something illuminating to read?